I love Fall. Who doesn&apos;t? It&apos;s a beautiful time in the Rockford Region. Leaves are changing and there is so much to do! 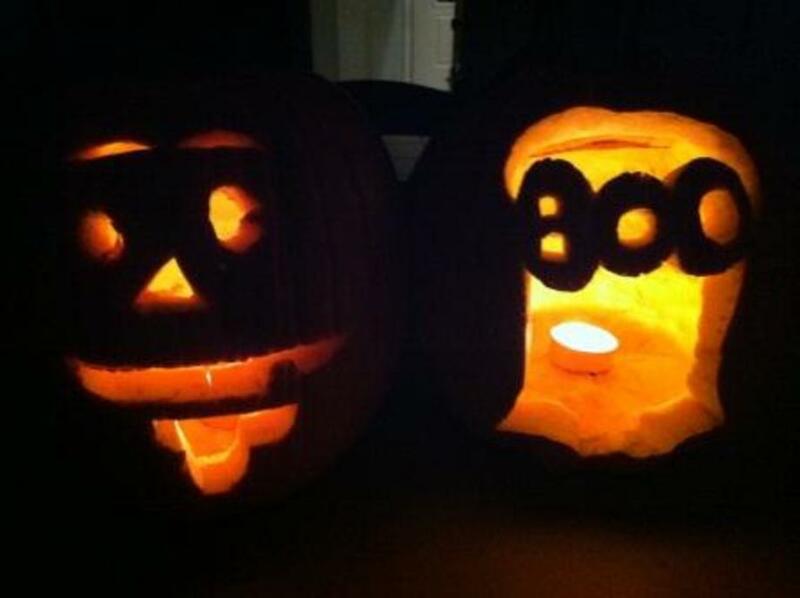 One must-do activity is pumpkin carving. But where to buy the pumpkins? Local grocery stores make it easy. Their cardboard bins of pumpkins are right there by the entrance, just in reach of the two kids in the cart yelling, "Mommy can we carve pumpkins today?" I try to wait until the last possible weekend to do this because pumpkins rot so quickly once carved. So a couple weeks ago Pat Curran from Curran&apos;s Orchard was on our radio show. He mentioned that $1 from every pumpkin purchased would go to support Breast Cancer research. Seemed like a good enough reason to buy pumpkins to me. Unbeknown to my kids, my husband and I stopped at Curran&apos;s on our way back from a weekend trip out of town and picked up a few pumpkins. Eight days of, "Mom can we carve pumpkins now? Can we carve pumpkins now??" and I finally gave in. 20 minutes later and there my husband and I sat, gutting pumpkins by ourselves. My 8 year old did end up finishing his, and I, of course, was still sitting at the counter finishing mine an hour later. The pumpkins will sit outside until after Halloween, and by that time, they&apos;ll be well on their way to rotting. But instead of throwing them away, there&apos;s one more fun thing to do with them! Bring them to the Discovery Center on Sunday and turn them into parking lot projectiles! Catapult them across the parking lot. Once my boys discover this, they&apos;re sure to look forward to this event as much as the candy on Halloween night...okay, maybe not that much!